The Next Stage: Women and Retirement: Finally, the snow has disappeared from my Mt. Airy garden. Finally, the snow has disappeared from my Mt. Airy garden. Finally, the snow has disappeared from my Mt. Airy garden. They call it Mount Airy for a reason. An insurance adjuster once told us we were about 400 feet above sea level. It’s great in the summer when leafy Mt. Airy feels about 10 degrees cooler than center city. But when the snow has disappeared from most of the city, there are still heaps of dirty snow in Mt. Airy. The first snowdrop emerged from the snow last week. 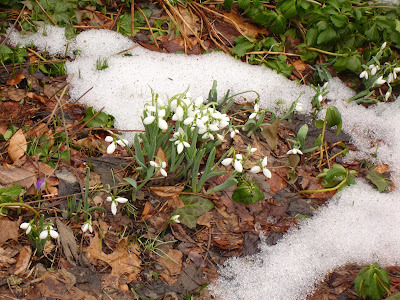 We usually have snowdrops from January through early March. Not this year. 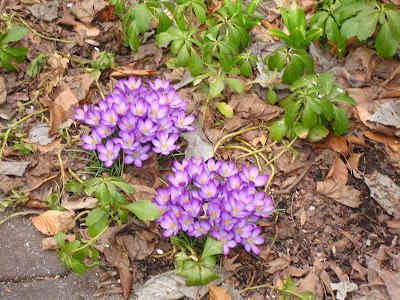 The first species crocus usually appears in mid to late February and we have lots of early daffodils by mid-March. 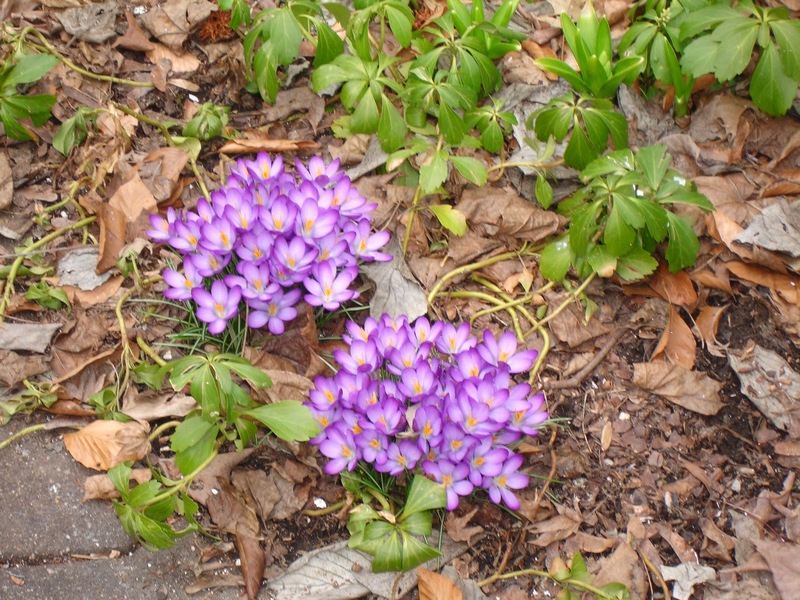 This year the first species crocus emerged last week and there’s not a daffodil in sight. I’ve always wondered how my gardening friends in Vermont endured those Vermont winters. This year I’ve gotten an inkling of what it must be like. I so hope the snow predicted for tomorrow is not much more than a dusting!